Spare parts- Radtec maintains a significant inventory of spare parts for Radtec and Kavouras radars. Call Radtec for information on spare parts. 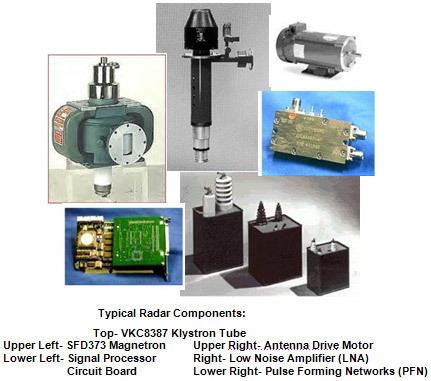 Radtec also maintains a significant inventory of spare parts for selected radars from other manufacturers. Call Radtec for information on spares for non-Radtec radars. Radtec can provide customized maintenance and service programs for a wide range of weather radars. Call Radtec for information on maintenance and service programs.